How could EMS help a major Detroit Car Seat Supplier generate pilot manufacturing inspection reports better and faster? 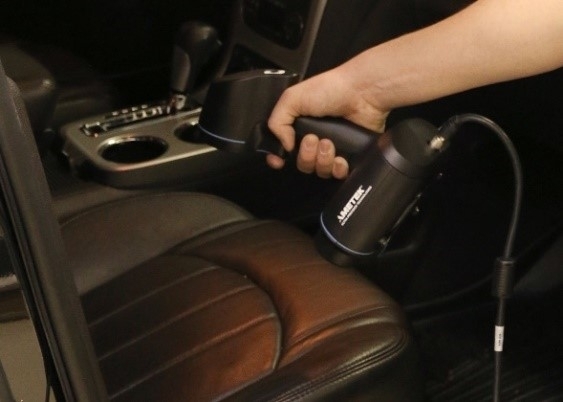 That was the challenge posed to EMS by a Michigan automotive seat manufacturer looking for a better scanning and verification process that would allow manufacturing adjustments to be made more quickly during pilot launches. 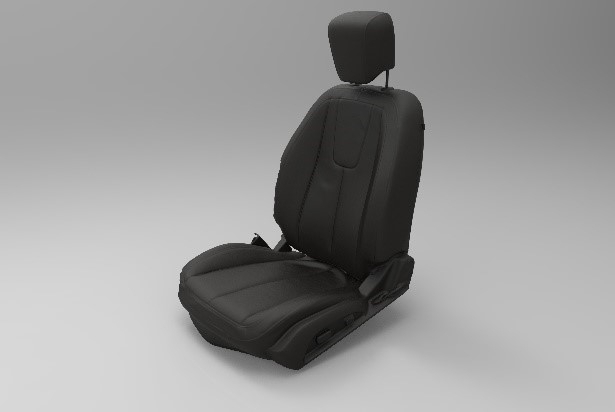 Automotive manufacturers require seating suppliers to provide comprehensive inspection reports confirming that production seats conform to manufacturer specifications. Traditionally, seat inspection processes have revolved around single point probing systems such as a coordinate measurement machines (CMMs), tripod mounted single-line laser or structured light scanning systems. Unfortunately, these measurement systems: 1) can be slow because they require multiple scans which must then be merged and aligned in post processing and 2) are often located at R&D facilities and impractical to move, making it difficult to inspect seats and create reports quickly, and 3) often involve pre-scanning spray applications for certain surfaces. The Automotive Seat Manufacturer had traditionally used its structured white light and arm based solution for inspection, which required shipping seats to the company’s R&D facility. The seat supplier’s automotive manufacturing customer was requesting that inspections be done at the plant to facilitate receiving seats and inspection reports more quickly. Realizing it was not efficient to ship seats back and forth, and not practical to move inspection equipment to the plant, the Client contacted EMS to find a better, faster solution to produce a scan to CAD comparison on site. 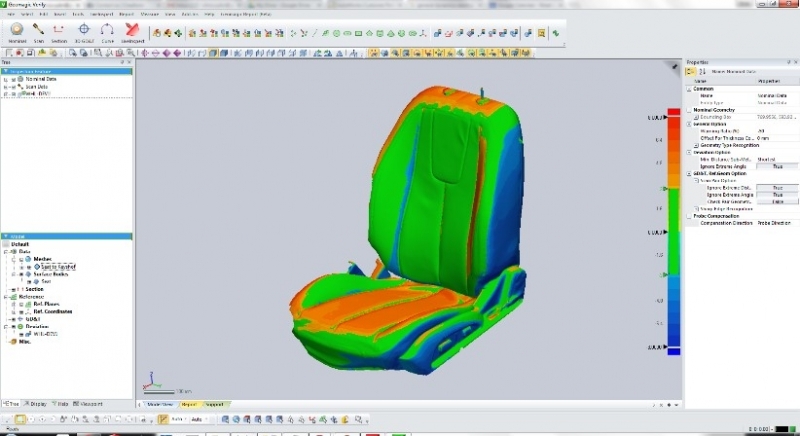 A leader in 3D scanning, reverse engineering, and inspection solutions, EMS helped the seat manufacturer identify a better solution. Using high resolution, handheld scanning technology, EMS was able to successfully 3D scan a complete seat in about 15-20 minutes, compared to several hours required by the client’s traditional method. While still on site, EMS used advanced computer aided measurement, inspection and visual verification software to produce the detailed 3D inspection reports needed. From there, engineers could quickly make any adjustments and EMS would rescan the seat to verify the correction, enabling issues to be resolved in real time. Ability to quickly and easily continue scan if additional surfaces are required after processing the data. 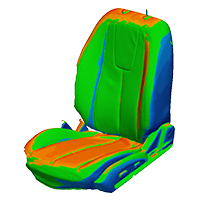 EMS’ 3D scanning and inspection solution helped its Automotive Seating Manufacturing client to reduce its pilot inspection times from days to hours, not only saving significant time and money but also meeting its customer’s requirements for plant floor inspections, detailed reports and quicker seat delivery. When it comes to 3D scanning complex objects and creating 3D CAD files for detailed modeling, reverse engineering and inspection needs, EMS combines 15 years of experience and expertise with advanced 3D technology to get jobs done quickly and accurately. Founded in 2001, EMS, Inc. is a leading single source provider of 3D Scanning and 3D Printing solutions to customers across a range of industries including aerospace, automotive, military, consumer products, medical and art. With over 15,000 projects completed and hundreds of systems sold, EMS specializes in helping clients streamline product development, inspection and reverse engineering through advanced 3D technology. EMS is headquartered in Tampa with regional offices in Detroit and Atlanta.